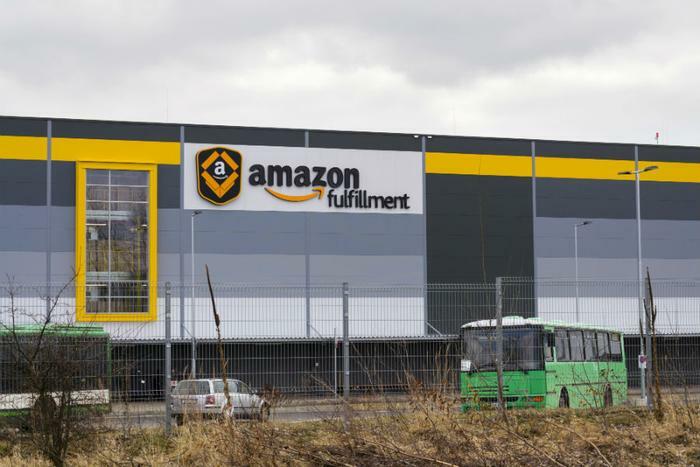 While Amazon’s annual Prime Day sales event is underway, thousands of the company’s warehouse workers in Europe are on strike demanding better working conditions. Fulfillment center workers in Spain, Germany, and Poland staged a protest over the increase in working hours, the elimination of bonuses, and the lack of health benefits. Almost 1,800 workers in Spain walked out of work on Monday, according to The Washington Post. Those on strike in Spain stood outside the warehouse and wore masks of Chief Executive Jeff Bezos. More workers will join the protest on Tuesday in Poland and Germany. The strike is expected to last until July 18. The strike was called for by German labor union, Verdi. The union claims that workers in the e-commerce giant’s warehouses have suffered from physical and mental stress due to the demands of the job. Verdi said Amazon has refused to enter negotiations over these issues. "The message is clear: while the online giant gets rich, it's saving money on the health of its workers," Stefanie Nutzenberger, union representative, said in a news release. Spanish workers are on a three-day strike, while Polish workers will engage in the bare minimum amount of work they are required to do by the rules of their contract. The German strike will take place at six facilities. Amazon claims the strike will not impact the company’s ability to process orders and maintain shipping commitments during Prime Day. “We believe Amazon’s Fulfillment Center jobs are excellent jobs providing a great place to learn skills to start and further develop a career,” Amazon said in a statement to Reuters. The employee walkouts aren’t likely to have a huge impact on Amazon’s Prime Day sales, which are expected to hit $3.4 billion this year. However, the protest does draw attention to key issues that could influence consumer spending.